This classic potato and egg salad is dressed with a seasoned mayonnaise dressing and garnished with chopped green onions and tomatoes, making it visually appealing and flavorful at the same time. 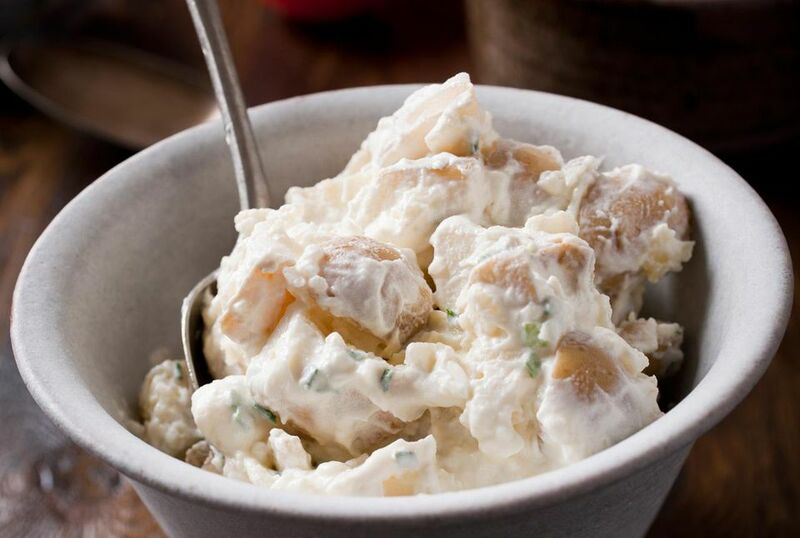 For an alternative, you can try a classic potato salad with red-skinned potatoes. If you're desiring something a little more adventurous, you might try red, white, and blue potato salad or potato salad With dill relish. Combine mayonnaise, vinegar, salt, sugar, and pepper in a large bowl. Add remaining ingredients; toss gently to combine well. Cover; chill for 2 or more hours for best flavor. Garnish with chopped green onion and tomato wedges if desired.